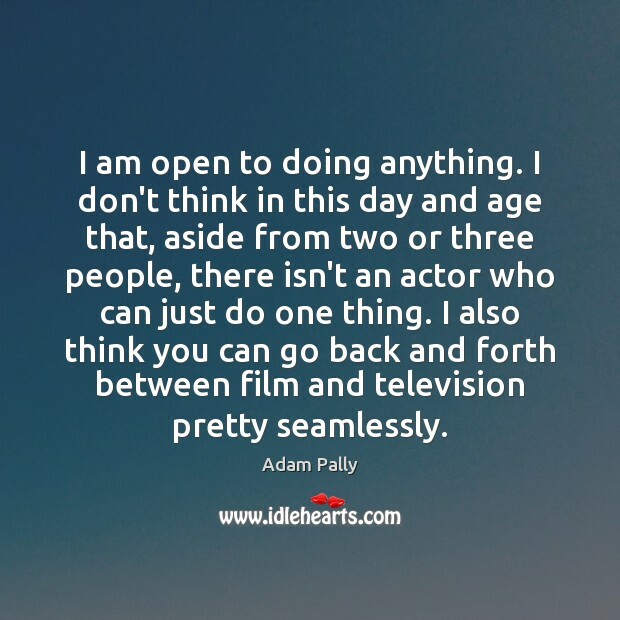 Enjoy the best inspirational, motivational, positive, funny and famous quotes by Adam Pally. Use words and picture quotations to push forward and inspire you keep going in life! 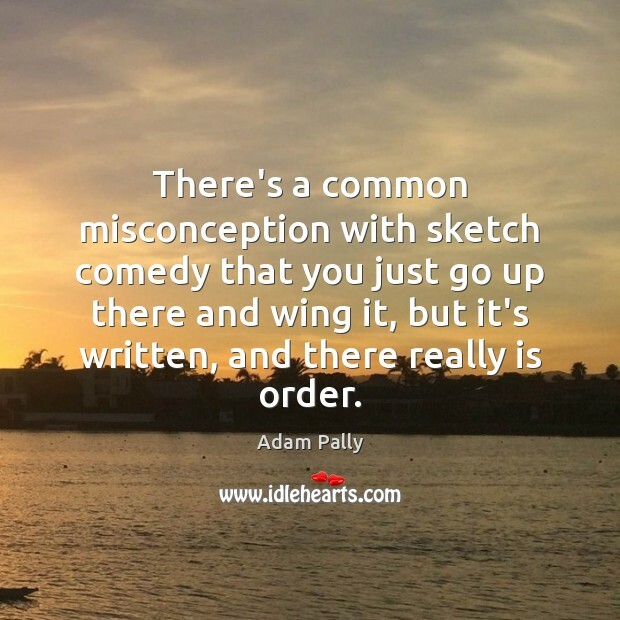 There's a common misconception with sketch comedy that you just go up there and wing it, but it's written, and there really is order. I love Billy Joel. I cry sometimes when I hear The Stranger. You May Be Right may be one of the greatest songs ever written. At around 19 I realized that I really didn't have any skills other than making people laugh, so I should probably pursue it full-time. I am open to doing anything. I don't think in this day and age that, aside from two or three people, there isn't an actor who can just do one thing. I also think you can go back and forth between film and television pretty seamlessly. I am what they call a chubby-skinny guy. 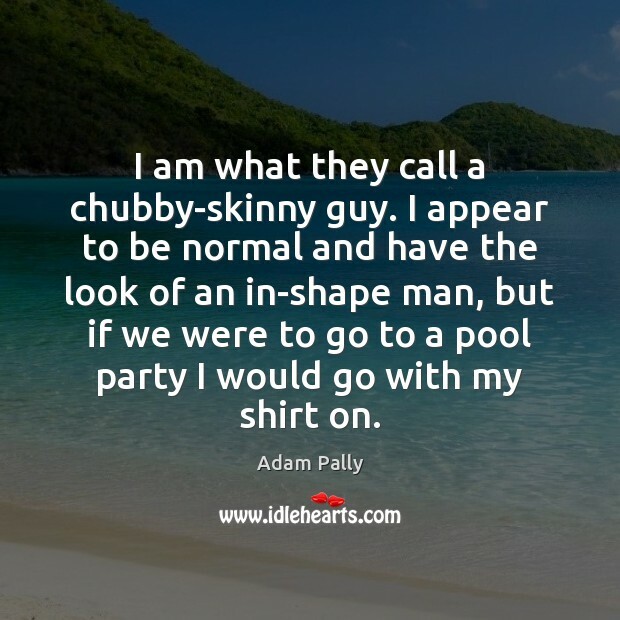 I appear to be normal and have the look of an in-shape man, but if we were to go to a pool party I would go with my shirt on. My parents' convictions, when it came to discipline, were not very strong. 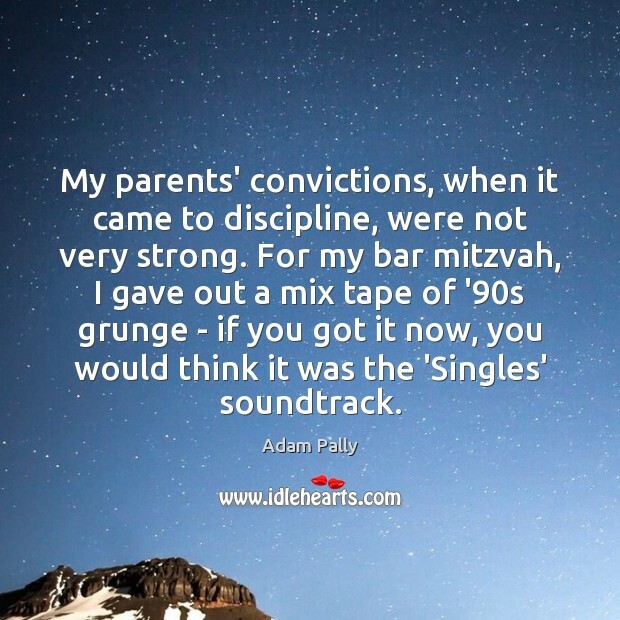 For my bar mitzvah, I gave out a mix tape of '90s grunge - if you got it now, you would think it was the 'Singles' soundtrack. 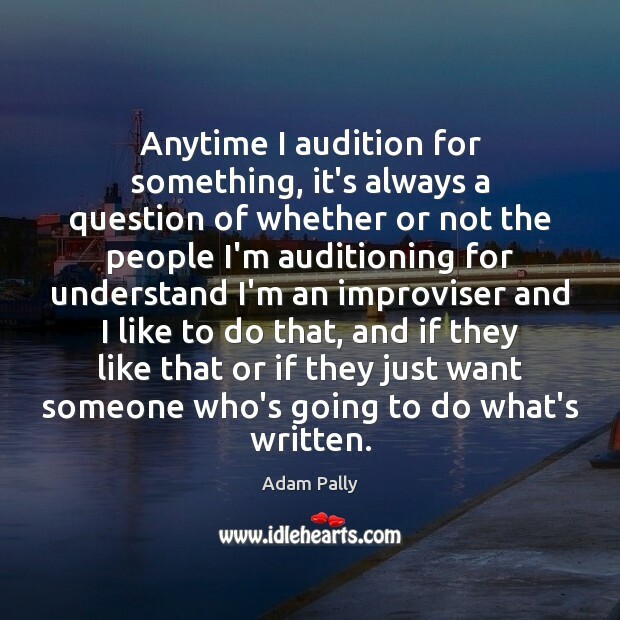 Anytime I audition for something, it's always a question of whether or not the people I'm auditioning for understand I'm an improviser and I like to do that, and if they like that or if they just want someone who's going to do what's written. 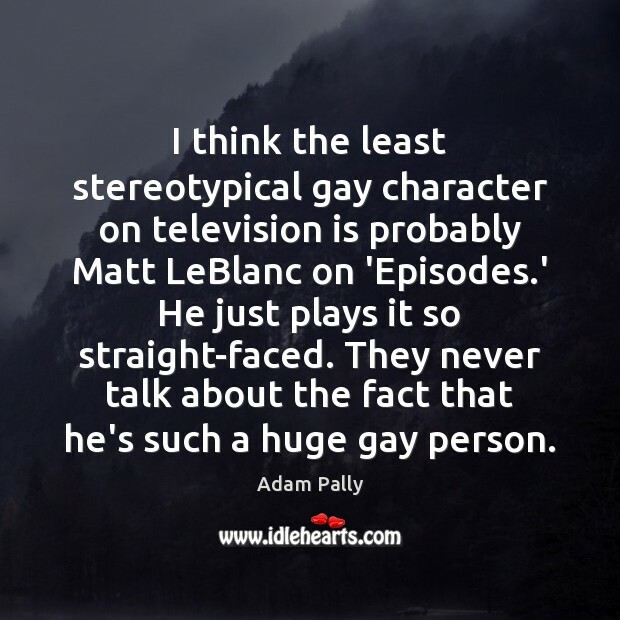 I think the least stereotypical gay character on television is probably Matt LeBlanc on 'Episodes.' He just plays it so straight-faced. They never talk about the fact that he's such a huge gay person. People, when they come up to me, are like, Did we go to high school together? Or did I make out with you at sleepaway camp? And oftentimes, yes, that is the answer, because I went to a giant high school and made out with everybody. 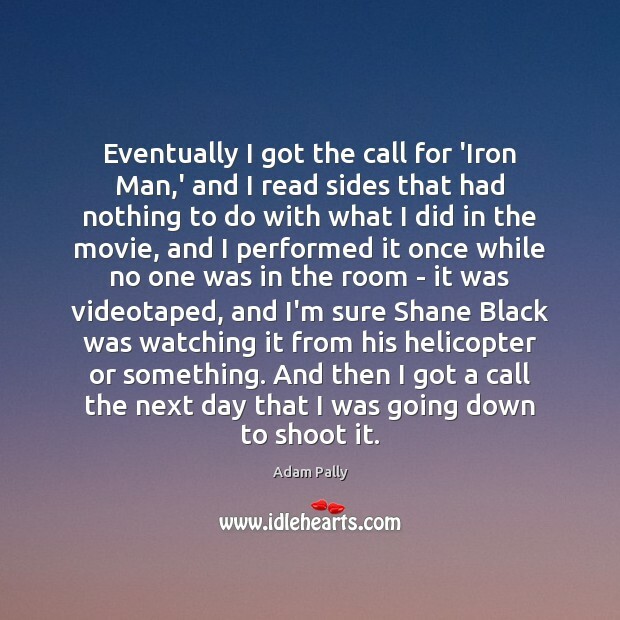 Eventually I got the call for 'Iron Man,' and I read sides that had nothing to do with what I did in the movie, and I performed it once while no one was in the room - it was videotaped, and I'm sure Shane Black was watching it from his helicopter or something. And then I got a call the next day that I was going down to shoot it. 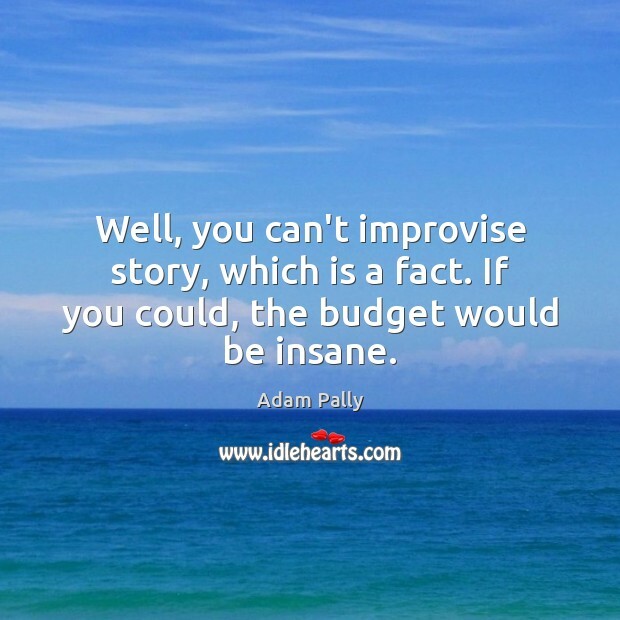 Well, you can't improvise story, which is a fact. If you could, the budget would be insane. I think where it's going is toward what the music industry is like, where channels will be considered more like labels that carry the type of TV show that you like, and then you'll consume them however you can. 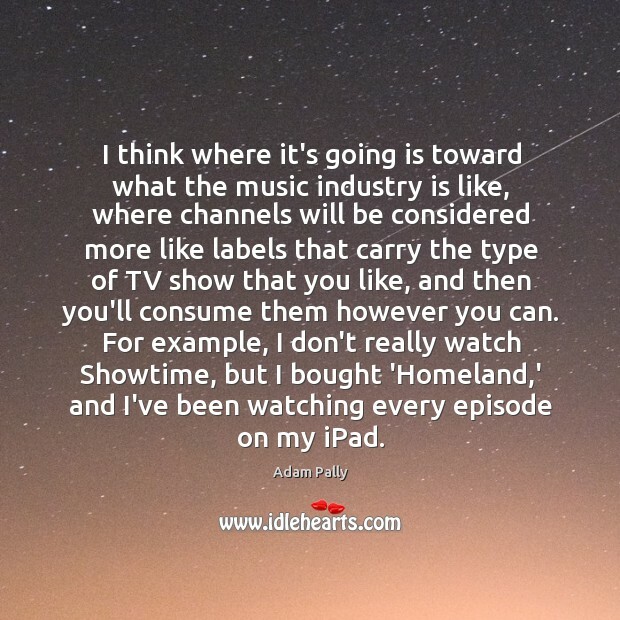 For example, I don't really watch Showtime, but I bought 'Homeland,' and I've been watching every episode on my iPad. I moved around a lot as a kid, and when you're always entering new places at that age, you kind of have to learn how to adapt yourself, and I felt a really powerful way to do that was to make people laugh.